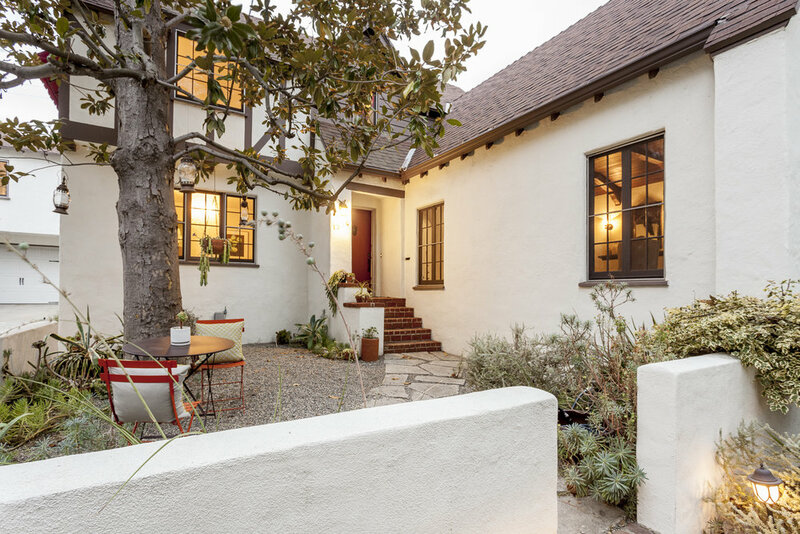 To complement a 1932 Tudor Revival house, the idea for the small backyard was "English cottage garden meets drought-tolerant Mediterranean courtyard”-- essentially warm, quaint, and low maintenance. The goal was to create something that could accommodate 40 to 50 people but still feel intimate with just two. To maintain some authenticity and minimize the need for new material, much of the existing concrete paving was broken up and reused to form a dining area. 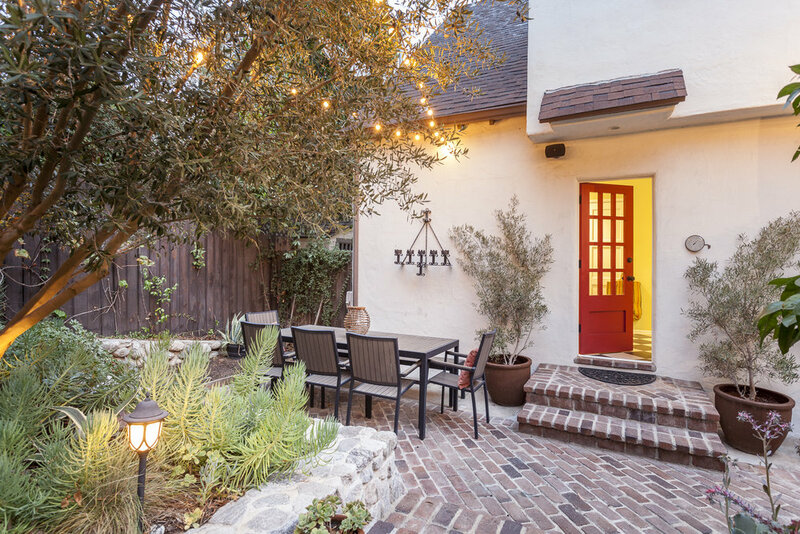 Rustic brick paving added warmth and character to the lower patio, and was used to create a fire pit and built-in barbecue countertop in order to visually unite the space. 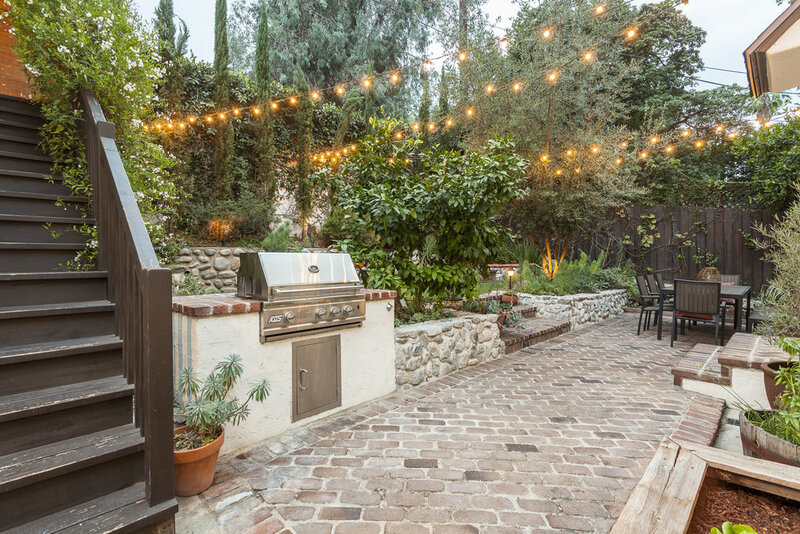 String lights were incorporated create a sense of enclosure, turning the yard into a magical outdoor room in the evening.